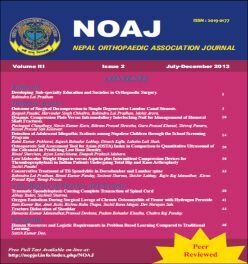 An official publication of Nepal Orthopaedic Association. Full text articles available. Osteoporosis Self Assessment Tool for Asian (OSTA) Index in Comparison to Quantitative Ultrasound of the Calcaneal in Predicting Low Bone Density.